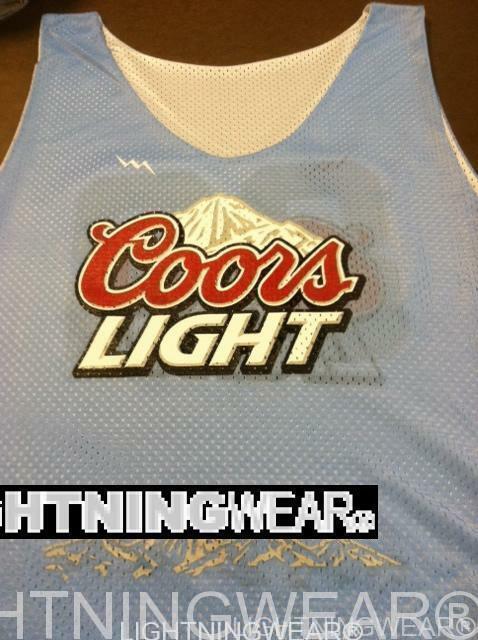 Custom lacrosse uniforms sublimated from Lightning Wear®. Here goes a great picture from the Michigan laxers know as the Great Lax Team. 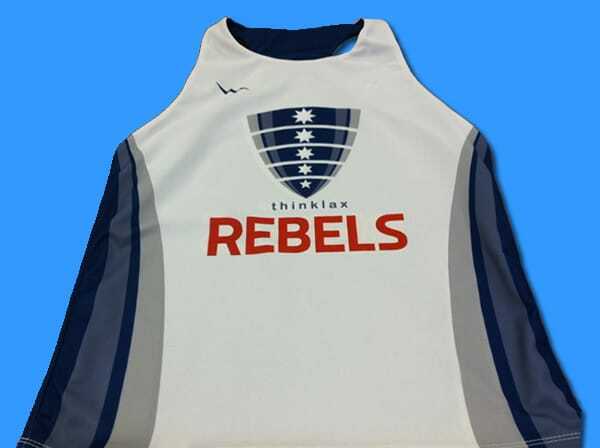 Their custom sublimated lacrosse uniforms will definitely stand out off of the field as well. We sublimated the reversible tops and custom lacrosse shorts with a pic of the globe. Thanks for the order and the great team pictures. Check out the shooting shirts for lacrosse that the boys are wearing in the photo above. The team sent us an image that they wanted embedded in to the jersey. Our art department was able to scale the image of the mountains that they sent. 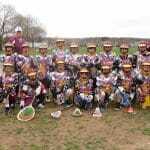 We added to the lacrosse shooter shirts design. 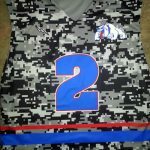 Then we added the logos prints names and numbers to the pattern and it was printed using a wide format dye sublimation ink jet. The numbered lacrosse shorts pictured also have the neat photo on them. 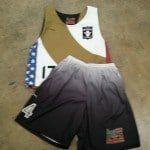 The team added numbers to the lax shorts to make one individualized and unique. The bottoms come with an elastic drawstring waistband and a 9 inch inseam. You also have the choice of added side pockets. 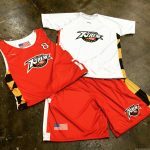 For lacrosse, most teams using sublimated shorts opt for the ones with pockets. A lot of times the youth teams avoid pockets because the stick gets caught in them. 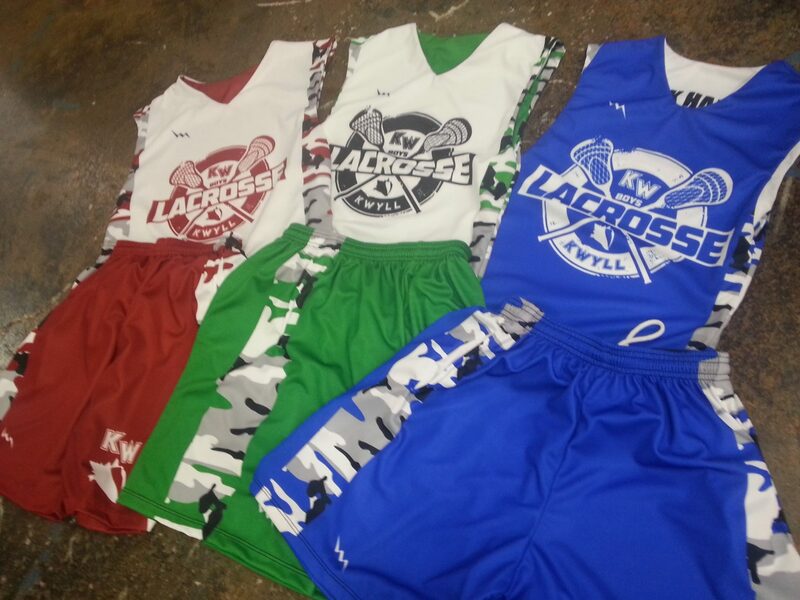 Either way, we can equip your team with fresh lacrosse uniforms that will last. 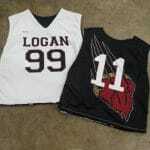 Last but not least are the custom reversible lacrosse jerseys. 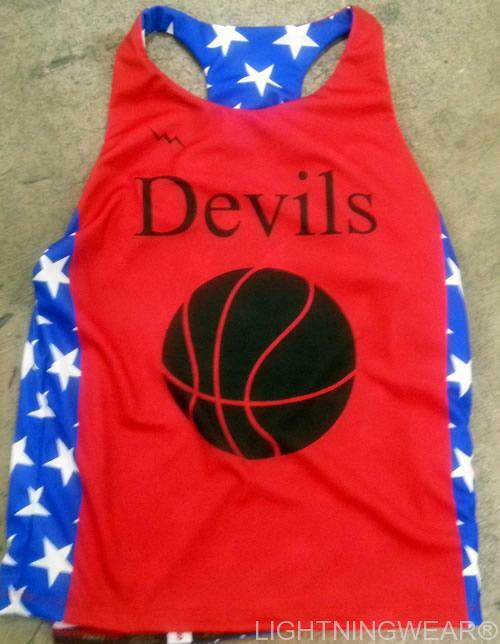 We offer these in collegiate and regular lacrosse tank top styles. 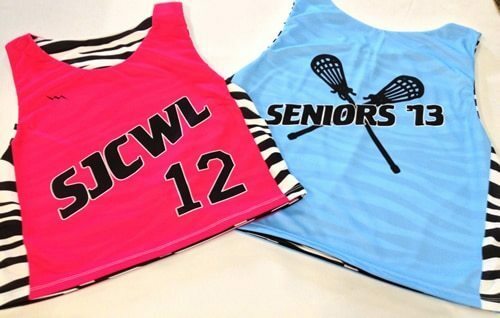 Our reversible jerseys are available for girls lacrosse uniforms and guys.This team went with the same image on one side of the jersey, and a light blue color for the reverse side. Again, adding team names and numbers along with logos flag etc was a piece of cake. If you do a google image search, you can see that we have tons of designs and images that you can compare or mimic. 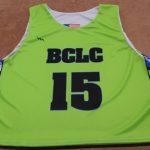 Feel free to contact us to discuss your next custom lacrosse uniforms purchase.